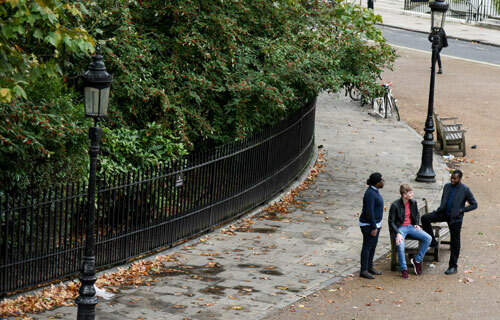 Once you visit Bloomsbury Institute, you’ll soon realise what a special community spirit has been created here in Bedford Square. Perhaps it’s because we don’t distinguish between students and staff – both groups play vital parts in college life. Perhaps it’s because you’ll be taught by lecturers, but also supported by SEWS, our Learn Tech team and our professional services staff (such as Student Recruitment, and Admissions teams). Perhaps it’s because we run events and mixers for everyone and many of our staff are former students of Bloomsbury Institute. Perhaps it’s because our students and staff are so incredibly diverse, both in background and age. In fact, there’s no typical Bloomsbury Institute student – that’s why the support we offer is so amazing. We’ll help you with whatever issues you face – inside and outside of college. Perhaps it’s because our people are truly international – speaking numerous languages, bringing together rich cultures and traditions. That is what, we believe, makes our learning so successful and unique. To get a real feel for our community, read our testimonials here.